When you think of third-person co-op survival horror games, what enemy comes to mind? It’s probably zombies, isn’t it? The damn things are everywhere. Well, it seems Rebellion Developments has taken it upon themselves to pit you against a different enemy type in their recently-revealed game, Strange Brigade: mummies! Also, probably zombies as well. We played the game while at E3 2017, and have a preview ready for you below. The first obvious thing that sticks out about Strange Brigade is the fact that the game takes place in the 1930s, and you fight ancient Egyptian horrors including mummies. Now, okay, mummies may just be an older (the oldest?) form of the undead from folklore, but there are a few differences between your average mummy and zombie. Mummies are wrapped up, and have usually been dead for centuries, if not millennia, and they don’t generally just want to eat people. Zombies are typically your neighbor, freshly killed by another zombie trying to eat you. Strange Brigade also features enemies other than mummies, such as ancient warriors, to keep things interesting. The game doesn’t take itself too seriously. The entire thing is presented as an old-timey serial adventure, with corny cutscenes and music to fit. Since the game takes place in the 1930s, you shouldn’t expect advanced weaponry. However, each character has a supernatural power. These weren’t elaborated upon, and the character we played as was able to unleash an extra-powerful explosive of some sort that decimated nearby enemies. Ammunition quickly refilled if the player kept their kill combo going. If you’ve played any sort of co-op survival horror game, then you’ll understand most of Strange Brigade’s concepts. Our goal during our brief time playing a single level included a section where we had to shoot certain symbols. This wasn’t initially a clear objective, however, the advantages of playing with two or more people in any game is that usually someone either knows what they are doing, or experiment and stumble across a solution, which is what happened to our group when another player accidentally shot a marker, which caused a red orb to float out, and into another stone marker. Hopefully Strange Brigade can impart a sense of exploration in its other levels, such as tombs, because discovering things for the first time is always a thrill. A Custom Engine for Our Heroes! 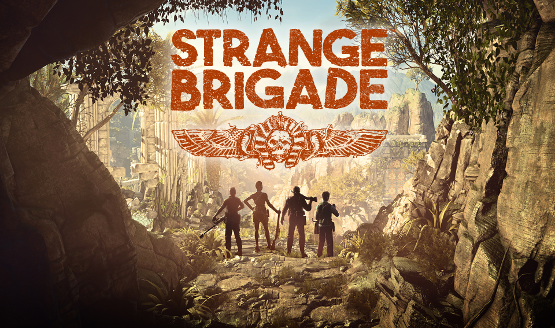 Strange Brigade ran very well on the computers we were playing on. Rebellion is using their own internally-developed Asura engine, which appears to be well-optimized. While we didn’t get any specifics on frame rate, at this early stage in the game things were running smoothly. Dozens of enemies were on-screen at any given time, and traps, hazards, and explosions didn’t slow things down much, while we played in a three-player co-op session. Strange Brigade feels like a change of pace from a lot of what is currently out there. Not only in the game’s setting, but also in how it plays. It’s still a third-person shooter, but mixed with supernatural powers and level hazards to use against your undead enemies, things will hopefully feel fresh for players for a while following release. 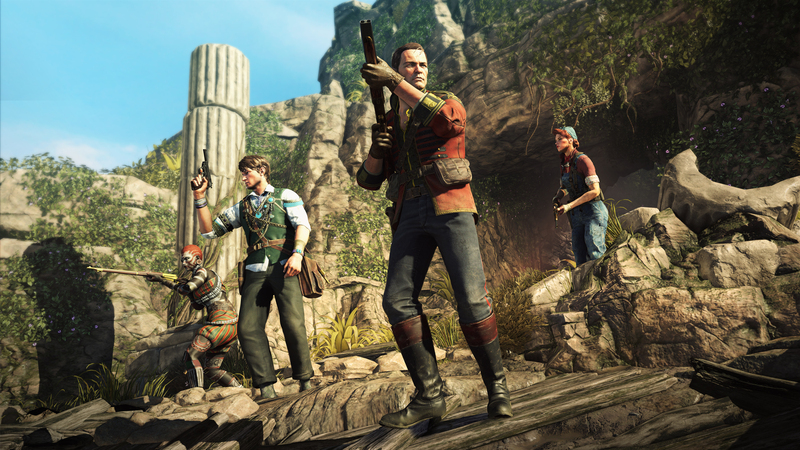 Strange Brigade is currently scheduled to release “soon” on PlayStation 4, Xbox One and PC.